Combine the beans, roasted garlic, dill, salt, and pepper in a food processor and blend until smooth. While the food processor is running, stream in olive oil through the top, making sure to scrape the sides and bottom a few times. Chop off the top portion of the garlic head to reveal cloves. Peel any excess paper, what comes off by lightly rubbing the head of garlic, off. Pour olive oil on top the garlic cloves and let soak for 10 minutes. Cover with foil and roast in a baking dish for 45 minutes, or until golden brown. Let cool then squeeze from the bottom of the garlic head to remove the roasted cloves. This post has been biding its time. 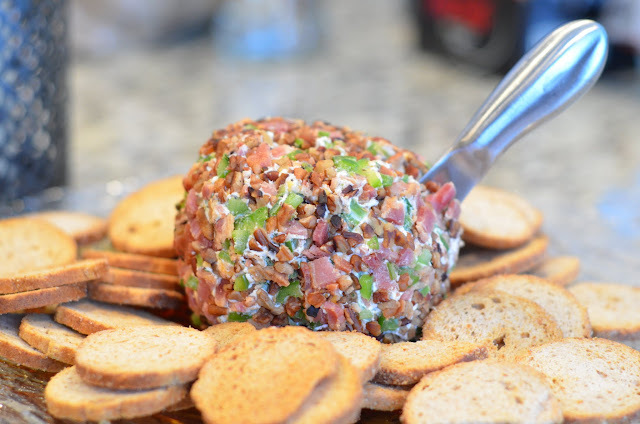 I made this dip to take to a Superbowl gathering, and I would make it again. I really enjoyed the fresh spinach take on it. 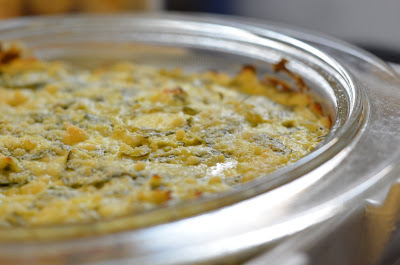 Also, sometimes I feel spinach artichoke dips can become a little greasy, especially from the mayo, so I enjoyed this version that only has 1/4 cup! Transfer the mixture to the prepared baking dish. Top with mozzarella cheese. Bake in the preheated oven 25 minutes, until bubbly and lightly browned. Serve with tortilla chips or your favorite dipper. 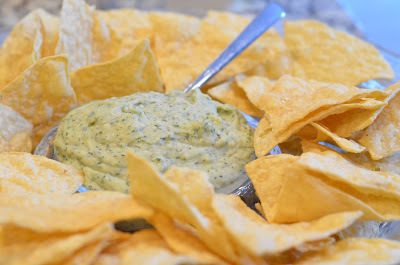 This dip is perfect for parties and has been my “go-to” item that I take with me to people’s houses for football viewing. Football is pretty much the primary sport across the state of Ohio, so growing up in Cleveland, between the Browns (heartbreak), Ohio State, and various high school; it’s kind of a big deal! I’m 99% sure I first made this dip to take with me to my now in-laws house to watch the 2002 National Championship game (GO BUCKS! ), and since my husband is a BIG fan, and I think it’s pretty darn tasty it’s stuck around since then. This dip was made out of the “layers” I liked in the various Mexican inspired layer dips you can find anywhere. It consists of, starting from the bottom: Guacamole, Sour Cream with Taco Seasoning, Salsa, Green Peppers, and Cheese. YUM!!!! You could adapt it to add in anything else you like; for example, I’ve made it with half black olives for my mom, refried beans for my brother…I think you get the idea. 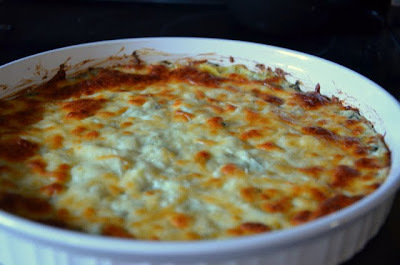 This dip can be made with several variations with whatever you have on hand. I’ve used store-bought guacamole, avocados and a guacamole seasoning packet, or made my own. The same goes for the salsa where I’ve used store-bought, jarred, or made my own. One note is that you don’t want the salsa to be too runny as most of the “fresh” salsas are, so make sure to drain off the liquid before you add it. If you had other color bell peppers on hand you could certainly substitute them for the green pepper. Also, for the cheese, you can use a Mexican shredded blend or some combination of what you have on hand. Guacamole – I’ll post a homemade recipe soon. Evenly spread the guacamole in your serving dish. Combine until the sour cream and taco seasoning together until well-blended and spread over the guacamole layer. Then layer the salsa on top of sour cream layer and spread the green peppers in an even layer over the salsa. Cover the top with cheese. Serve with tortilla chips.